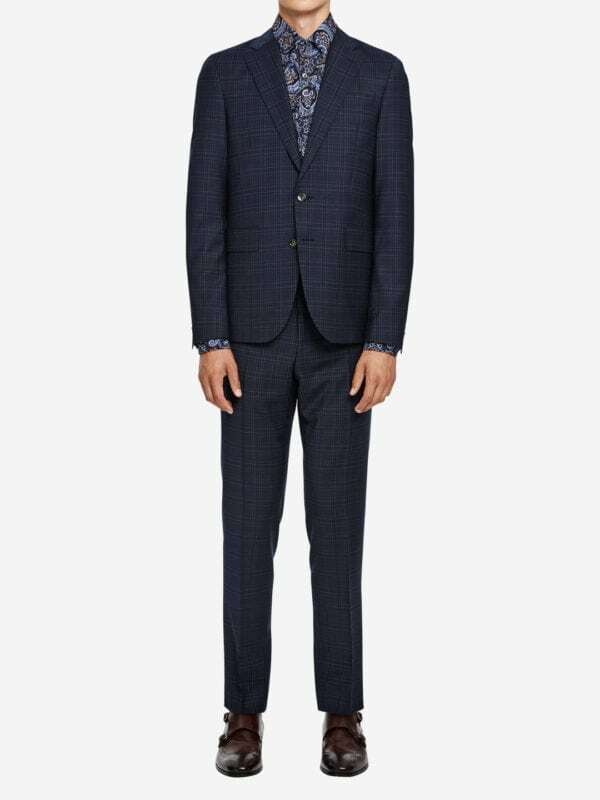 Extra slim fit suit composed of matching blazer and trousers. Extra slim fit blazer with a cut that sharpens the silhouette. Fully lined. Narrow lapel. Light constructed shoulders with AMF stitch. Classic flap pockets. Built-in pocket square. Two vents on back. Extra slim fit trouser. Knee length lining in front for comfort. Made of wool in luxurious Italian fabrics from the finest mills in the Biella area. Added a touch of stretch for extra comfort. This suit comes in a glenn check pattern. Complete the look with crisp white shirt. Proudly manufactured in Europe.